The US$1.7 trillion US-headquartered fund manager, Capital Group, has signed up with Heathcote Investment Partners to distribute its products in NZ. In a deal inked with Capital’s Australian subsidiary, Heathcote would front the brand this side of the Tasman with the group’s New Perspective Fund (NPF) and New World Fund (NWF) first cabs off the rank in NZ. According to a release, both the NPF and the NWF have achieved annual returns more than 3 per cent above the benchmark MSCI All Country World Index over 45 and 18 years, respectively. 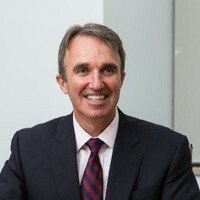 Paul Hennessy, Capital Group Australia head, said in the statement: “We have been careful and methodical in our assessment of how best to introduce our global investment strategies to the New Zealand market, and we are confident that the team from Heathcote are best equipped to do this. The NPF garnered the Morningstar Australia ‘undiscovered’ fund manager of the year award for 2018. Founded in 1931 by the Los Angeles-based Jonathan Lovelace. Capital has gradually expanded over the decades to global operations in 13 countries. Capital operates under a system designed to create “a diversified portfolio composed of individual managers’ and analysts’ highest conviction investment ideas”, the group’s website says. In a statement, Clayton Coplestone, Heathcote director, said the move would open up “one of the world’s largest and pre-eminent fund managers” to NZ investors. “The combination of sound investment processes, longevity and unique global equity capabilities makes Capital Group funds extremely relevant for most investment portfolios,” Coplestone said. With the addition of Capital, Heathcote now represents 10 – mainly Australian-based – fund managers in the NZ market. The Heathcote stable includes Allan Gray, APN, Daintree, Fiducian and Pengana. The Auckland-based firm also represents NZ boutique manager, Castle Point, in the local retail advisory market.